Did you pay logging tax on the income you earned from logging operations in British Columbia (B.C.)? If you did, you might be able to claim the British Columbia logging tax credit. This non-refundable tax credit is equal to one third of the logging tax payable shown on your FIN 542S: Logging tax return of income or your FIN 542P: Logging tax return of income for processors. Keep in mind, the B.C. logging tax credit can’t be carried back or forward to another year. It has to be applied to the same year you paid your taxes. What are the FIN 542P and FIN 542S forms? Both forms are logging tax returns that must be filed to report the income you received from logging operations in B.C. If you processed logs harvested in B.C. into primary and secondary forest products, you’ll need to complete form FIN 542P; if you earned your income from selling B.C. logs without processing them, then use form FIN 542S instead. Your B.C. logging tax credit is equal to one-third of the tax payable shown on line 770 of the FIN 542P or FIN 542S. You must file your logging tax return within six months after the end of the tax year in which the logging operations occurred. Important: Before you begin, make sure you tell us that you lived in British Columbia on December 31, 2017. You must also have completed and filed your logging tax return (form FIN 542P or FIN 542S). 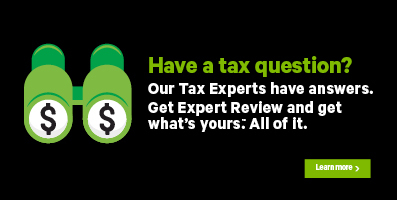 Remember, you’ll need to enter information from your logging tax return into the H&R Block’s tax software to claim the B.C. logging tax credit. Under the CREDITS AND REBATES heading, select the checkbox labelled British Columbia logging tax credit, then click Continue. When you arrive at the page for the British Columbia logging tax credit, enter information from your FIN 542P or FIN542S form into the tax software.